Carpet Cleaning Humble TX knows how important it is to have a spotless floor. It is not only pleasing to the eyes, it also provides a healthier environment all around. You might even find out your allergies were coming from within your home or workplace all along. 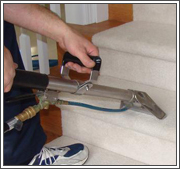 We do carpet stain removal, as well as clean, rugs, upholstery, tile, grout, even air ducts and dryer vents. Are you ever embarrassed to have company over because of stained or stinky floors? 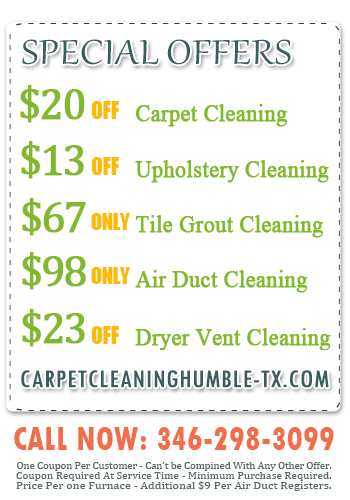 Let Carpet Cleaning Humble TX take care of you. We know all the ins and outs of any floor out there. If your pet has been using the restroom where it should not, don’t worry. Our carpet dry cleaning services will leave your fibers looking and smelling like they did the day you moved in, maybe even better. We service zip codes 77338, 77346, 77347, and 77396. If you need commercial work done, we can help with that, too. Our office carpet cleaners are capable of covering any amount of square footage in Humble, Harris County, Texas. With our specialized machines, we can clean up just about anything. From spilled drinks, to deep greasy stains that have set in over time, we do it all. By using our advanced cleaning method, we are capable of safely removing the dirtiest of grime from your upholstery. Carpet Cleaning Humble TX uses dry clean methods that put less stress on carpets or rugs than traditional cleaning. Meaning it won’t be unnecessarily damaged or have its lifespan shortened. When it comes to removing stains & odors from your floor coverings, you can’t risk having to get the job done twice. It could put too much stress on your floor or rug. That is why Carpet Cleaning Humble TX makes sure to get it done right the first time. We use advanced, very low moisture cleaning solutions made up of dry chemical compounds. These do not leave any residue that will collect dirt like shampoos do after they have dried. Call Us Today!